This contrib adds real-time rates for "ParcelBroker.co.uk" Web Services during checkout. Parcel Broker is an aggregated shipping service that returns rates for multiple shipping companies: UK Post, FedEx, DHL, UPS, and more! By using ParcelBroker you are effectively consolidating your parcel traffic with thousands of other businesses and individuals just like you. The parcel traffic is then funnelled through one account with one of the Major courier companies. This means the actual collection and delivery service you receive will still be exactly the same as if you went direct. However, the massive buying power created by consolidating your traffic with other ParcelBroker users means we can all share access to heavily discounted rates from the couriers. In most cases you'll receive a price that is 40-60% cheaper than going direct. The developer of this integration has no control on rates and only pass what is returned from the gateway. 4. Send that to the ParcelBroker Tech Support to analyze. 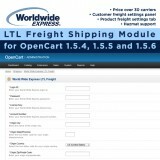 * Customers Get live shipping rates from multiple shipping gateways immediately during checkout. * Configurable disallowed shipping methods. 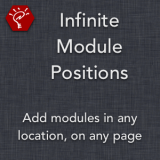 This module will work for all locations that FedEx supports. Be sure you ask your local FedEx customer care representative if their Web Services integration supports your country as the Origin. FedEx does not support Hong Kong as an "origin". So you cannot use this to get rates if shipping from Hong Kong. This contrib adds the ability to get live rates from FedEx during checkout giving the customer the option to choose their shipping type using live rates from FedEx.com. It uses the newer WSDL API so rates are guaranteed to be up to date. 3. After signing in, under "Technical Resources" on the left side, choose "Fedex Web Services for Shipping"
4. Choose "Move to Production"
5. At the bottom of that page, Click "Obtain Production Key"
* Advanced packaging algorithm (combined package mode) ensures items are packed in boxes to meet a max weight. ERROR::803::Meter number is missing or invalid. I offer 3 different boxing methods. The first is an advanced volumetric boxing algorithm that ensures that all the item volumes will fit within the max box dimensions and ensures that the box dimensions will at least fit the max item dimensions inside. The second is a weight-only option that ignores the product dimensions and uses the max dimensions statically as the maximum size. The last is individual mode that rates each item in the cart as its own package. This uses the individual item dimensions. The algorithms also prevent splitting weight from a single product into multiple boxes. So you won't have a single 60lb item split into 1x 50lb & 1x10lb box as that would not make sense. In the cases where a single item is more than the max box weight, it overrides that maximum box. Ex. It will allow a single item to override the max box weight and dimensions. A max box weight of 50lbs with a 60lb item will result in a 60lb box. This must be done to ensure the item gets rated. This contrib adds a real-time shipping rate lookup for Honk Kong Post postal service in Hong Kong. As there is no official API for HKP, this mod ingeniously uses their browser interface in the backend and parses the response back to the cart format. This lets you get rates as if an actual integration API existed, with absolutely no change in the way opencart shows the rate. Supports Local and Overseas rates for Small Packet and Parcel rates giving the choice of Air, Surface, Speedpost, Multipack, or Local shipment choices. * Full quote support. Automatically displays the proper quotes based on customer destination country. * Extra cost box to silently add a fee to cover packaging or whatever. Amount is added to the rate before displaying. 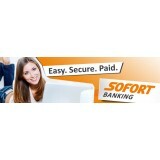 The customer is redirected to the sofort payment page to pay and returned back to the success page after payment. * PA-DSS Compliant. No sensitive data is captured or stored on your store. Textplode has been designed to be simple and easy to use, and we've now applied the same concept to this OpenCart module. 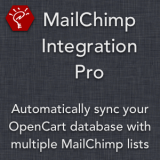 Our extension is completely free to download and integrates SMS features into your OpenCart store. You can create custom templates that you're able to assign to different order statuses so that when you change the status of an order, the customer is sent a text message to notify them. You can configure this module to send you a text when a new order is placed on your store, or when a new customer registers. You're even be able to merge your OpenCart customers to a group on the Textplode platform and send marketing messages to your customers in one go. There's loads of more features available from within the Textplode platform - to find out more, click here. This extension uses the Textplode API and you'll need to create an account to use this module. Registration takes seconds, is completely free and you'll receive 10 free credits if you verify your account. You only pay for the messages you send and can purchase credits from within your Textplode account. Any undelivered messages sent to UK phone numbers are refunded. We use a Tier 1 supplier for our text messaging, so delivery is guaranteed and instant. Beware of companies selling text messages at a lower rate as they will be simply reselling for someone else or using poor routes and your messages will hardly ever reach your customers phones or will arrive hours later. This extension adds the ability to process credit cards real-time with CyberSource Silent Order Post interface. Credit card entry is done on your site. Form data is sent securely from the server to their gateway over SSL. All processing is handled in the background. * You will of course need to have a merchant account for taking credit card payments online. * Since the SOP method is done at your store, you "should" use an SSL Certificate. * PA-DSS compliant. NO card data is saved to your site. 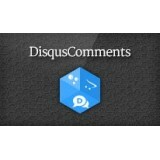 Disqus is a the most widely utilized commenting platform. As Disqus team put it themselves, everything you need to build a community, turn down the noise and turn up new revenue. Your customers will be able to register and post in seconds. 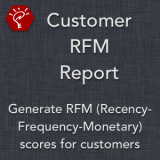 Tons of features, settings, tweaks and analytics. Say goodbye to the anonymous comments and embrace a more personal interaction. Handmade by the finest developer hands of the iSense team. With each purchase of the product you are entitled to the iSense Premium Support. It is a highly personalized, reliable, 48-hour guaranteed reply time (except holidays and weekends, which might take longer). A team of experienced technical professionals will lead you through anywhere from the set-up, updates to custom modifications of the modules. Some recent SEO experts claim that implementing Google Plus comments improves your SERP and boosts your CTR! Google Comments is a light plug-and-play viral commenting system by Google. Engage your customers and visitors in a discussions. GooglePlus implementation makes it easy for your web store visitors to ask questions, leave comments and +1 the responses. Handmade by the finest developer hands of the iSense team. Less is a CSS pre-processor, meaning that it extends the CSS language, adding features that allow variables, mixins, functions and many other techniques that allow you to make CSS that is more maintainable, themable and extendable. Less runs inside Node, in the browser and inside Rhino. 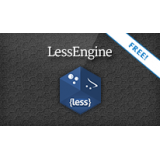 Less can be used on the command line via npm, downloaded as a script file for the browser or used in a wide variety of third party tools like LessEngine for OpenCart. ✯ Clean and crisp architecture. No core files overwritten. 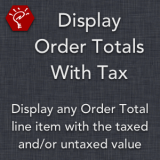 Display any Order Total line item using the taxed and/or untaxed values! Choose which Order Total extensions to affect, which tax class to use for the calculation, and how the amount will be displayed (including HTML support). Choose which Order Totals will have their charge displayed with tax. Set the text for how the charge will be displayed, using any HTML you want, as well as easy-to-use shortcodes for the taxed and untaxed amounts. Leave the "Taxes" line item enabled to show the cumulative tax charge, or disable it so that tax is only integrated into each line item. 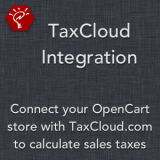 Integrate your OpenCart store with TaxCloud, the easy-to-use sales tax management service for retailers. 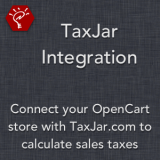 This extension connects OpenCart with TaxCloud services, including verifying addresses to determine correct tax rates, pulling those tax rates into OpenCart as an Order Total line item, and then submitting the order to be recorded into your TaxCloud transaction listings. Upload and go — utilizes ocMod (or vQmod for OpenCart 1.5.x) so no core file modifications are necessary. Set your store's shipping origin address directly through the admin panel. TaxCloud uses this, along with the customer's precise location, to accurately determine all state and local taxes that must be paid. Optionally enter variable TICs (Taxability Information Codes) for your products, using any existing product database field. Enter the Order Total line item text directly through the admin panel, with the ability to use HTML in the title. Restrict the tax charges to specific tax classes, stores, geo zones, and customer groups. Automatically pass order information from OpenCart to TaxCloud when an order is processed, or manually submit previous or missed orders using the added button visible on orders in the OpenCart admin panel.